Virtual Reality really is the future of the classroom. Being able to take a class “outside” and view trees and plants in parts of the spectrum that the human eye cannot normally process, like ultra-violet, or being “inside” the lungs as they explore the respiratory system in detail is fantastic. How about visiting remote Holy places or the scenes of WW2 battles? Every subject has potential to benefit from this technology too and Facebook are committed to developing (along with third party providers) a complete suite of education-focused content and apps. 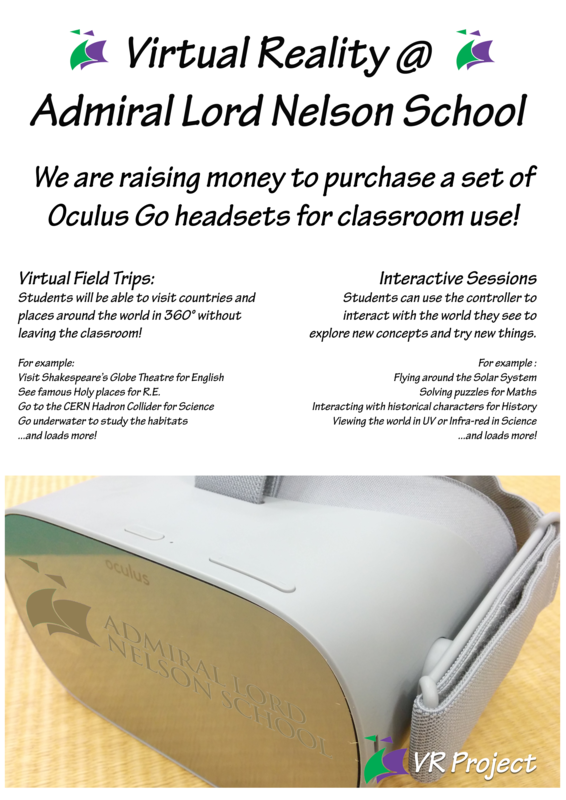 We are running a fundraiser (similar to Kickstarter, for those of you familiar with it) to raise money to purchase some Oculus Go VR headsets for the school to take us into the future! Every department would have access to book these out to go alongside lessons and help immerse the students in the topic being studied. If you’re not able to contribute right now, then please share the link around to everyone you know – every pound helps us get closer to our target! 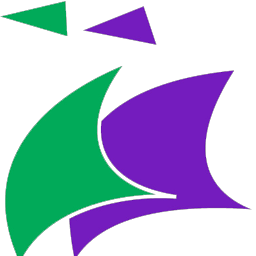 If we don’t hit our minimum target, then no money is taken from you. On the other hand, if we manage to hit our target in time, we have the option of adding stretch goals to allow us to buy more and more headsets! The dream would be a full class set of 32! 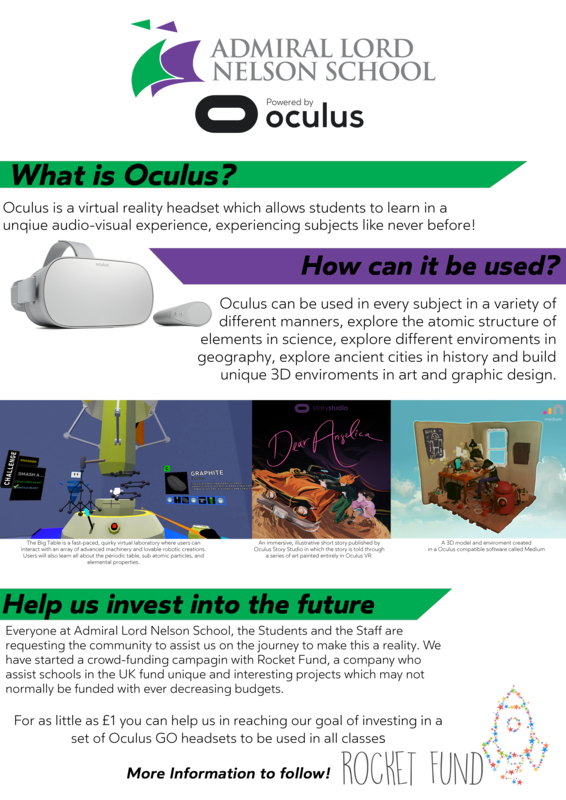 Click the posters below for more information – or check out the link above for more detail, including some videos of the sort of thing we’ll be able to do!